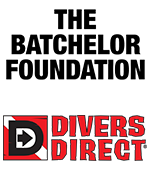 On the southern tip of the Florida Everglades, the Shark River meets the Gulf of Mexico. This estuary is home to a number of predators, including the alligator and the bull shark. 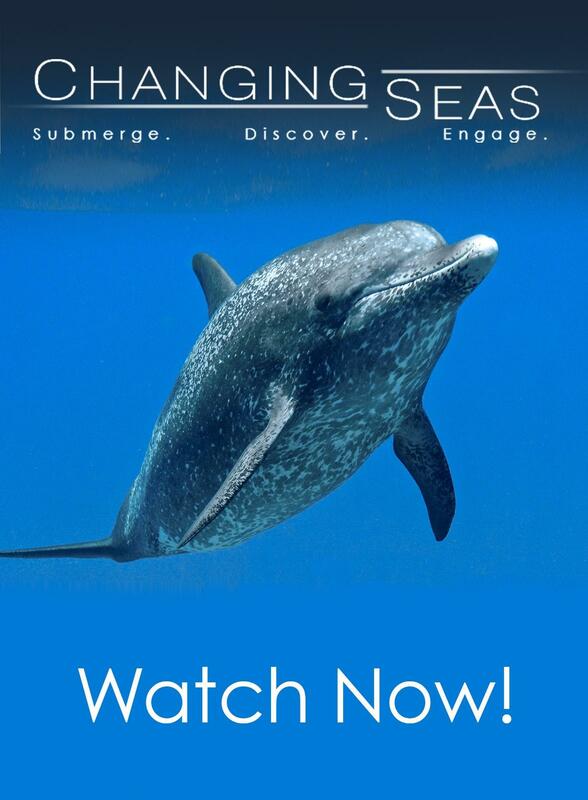 But despite its wild nature, the Everglades ecosystem is in trouble. 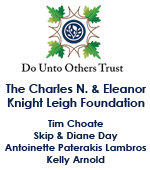 Humans have greatly reduced water flows across the famed “River of Grass.” Now, a large scale restoration project aims to re-direct some of the fresh water back into the Everglades. 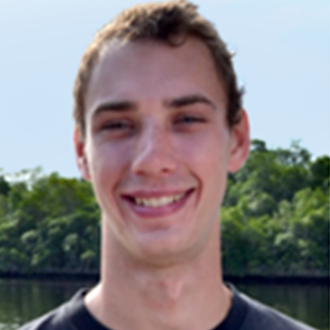 A team of scientists from Florida International University has been studying predators in the estuary. 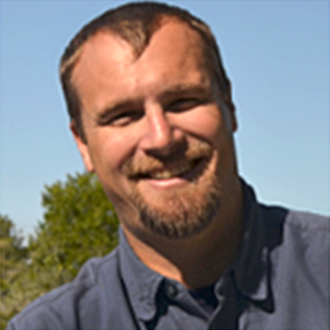 Their goal is to better understand how these animals will respond to the changes in water flows, to ensure they continue to fulfill their critical ecological role in the food web. 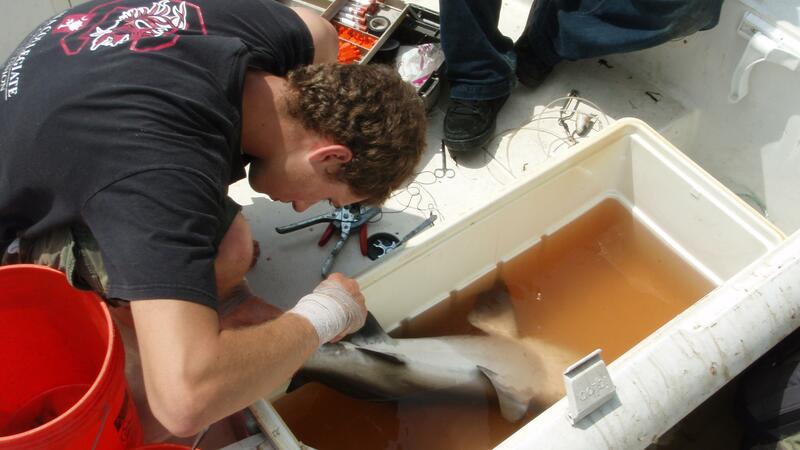 Phil Matich taking blood from a juvenile bull shark. Mike Heithaus, Ph.D and Phil Matich working up a shark with Robin Sarabia and Kirk Gastrich looking on. 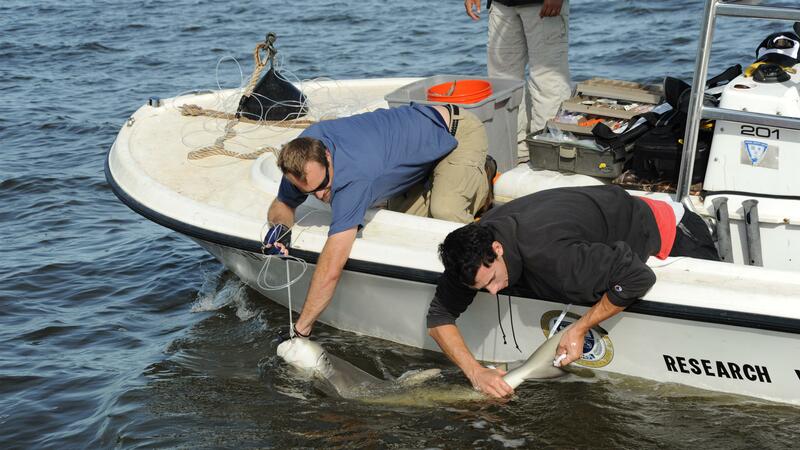 Experts from the Heithaus Lab working up a shark in the Shark River Estuary. 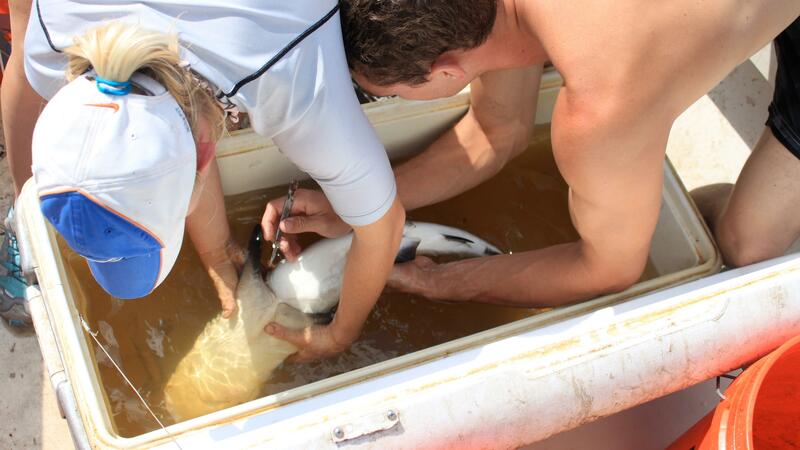 Phil Matich preparing to make a small incision in the belly of a juvenile bull shark so he can implant a tracking device in the animal. 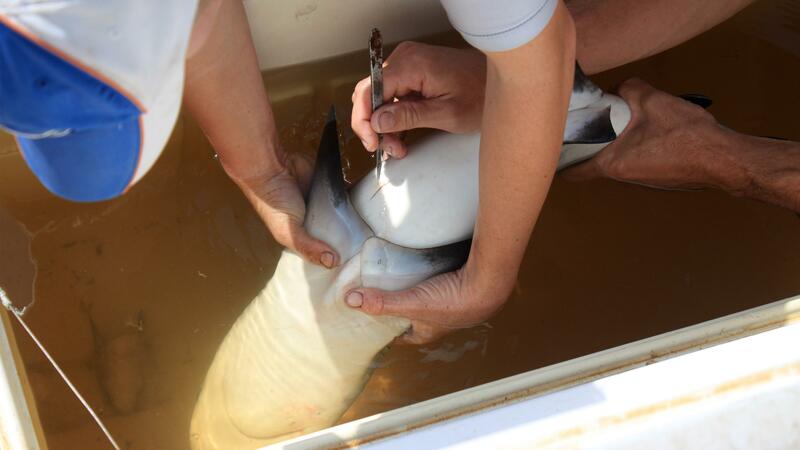 Phil Matich making a small incision in the belly of a juvenile bull shark so he can implant a tracking device in the animal. 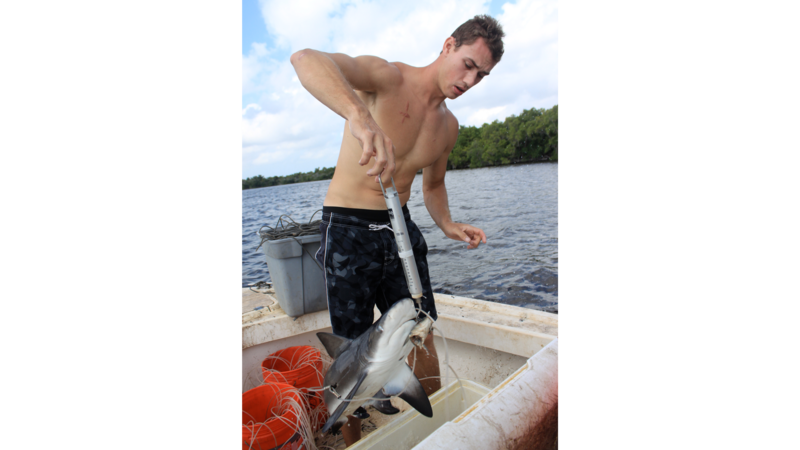 Phil Matich weighing a juvenile bull shark soon after capturing it on a baited hook. 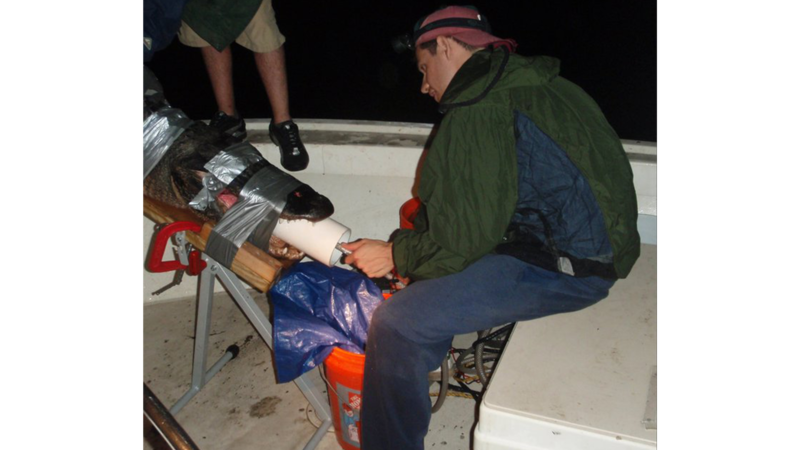 Kirk Gastrich steadying a shark alongside the research boat. 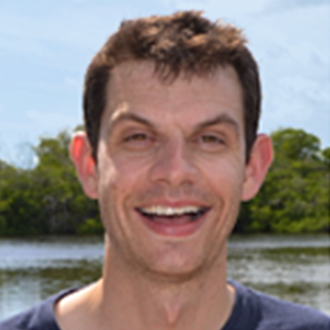 Phil Matich preparing to take blood from a shark. 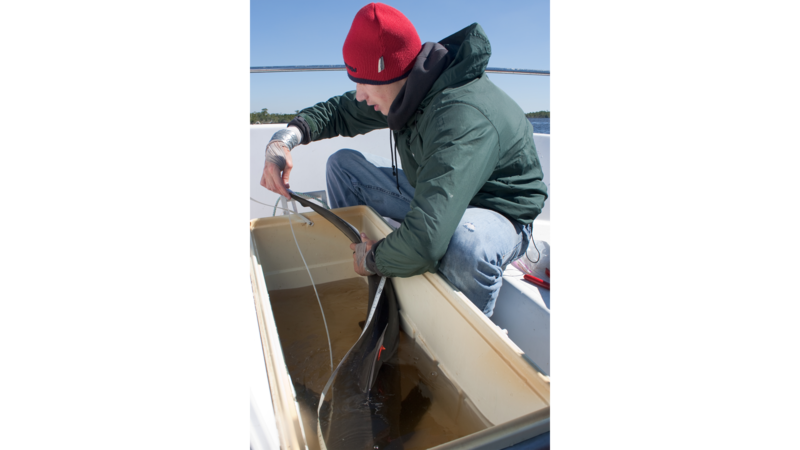 Phil Matich measuring a juvenile bull shark. 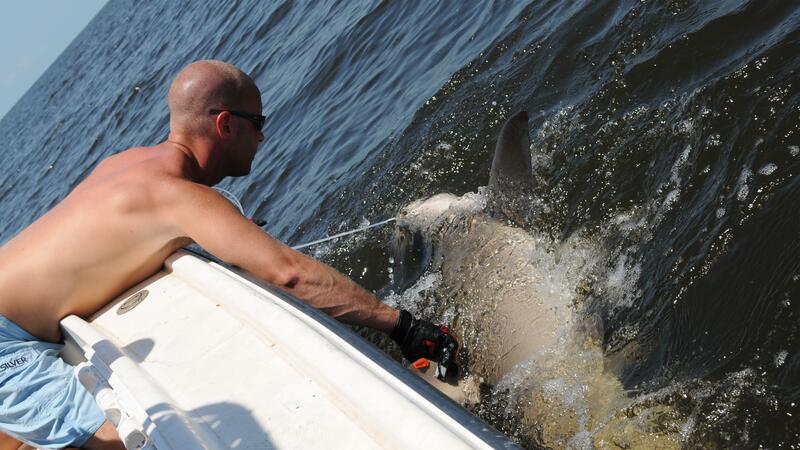 Mike Heithaus and Phil Matich measuring a shark. 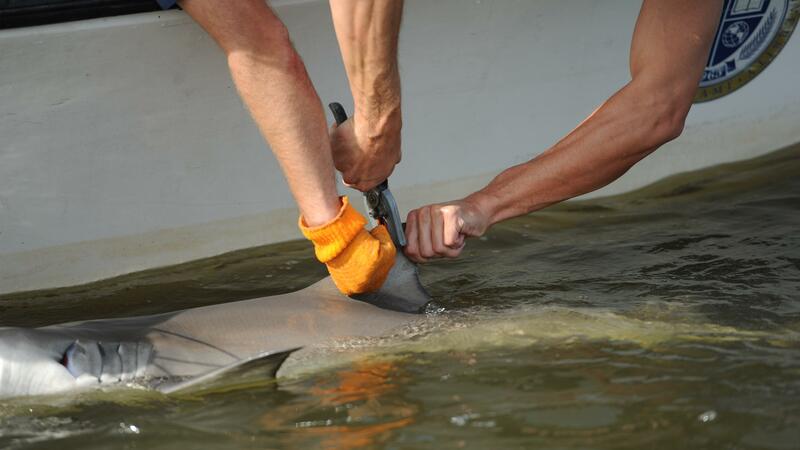 Attaching an ID tag to the dorsal fin of a shark. 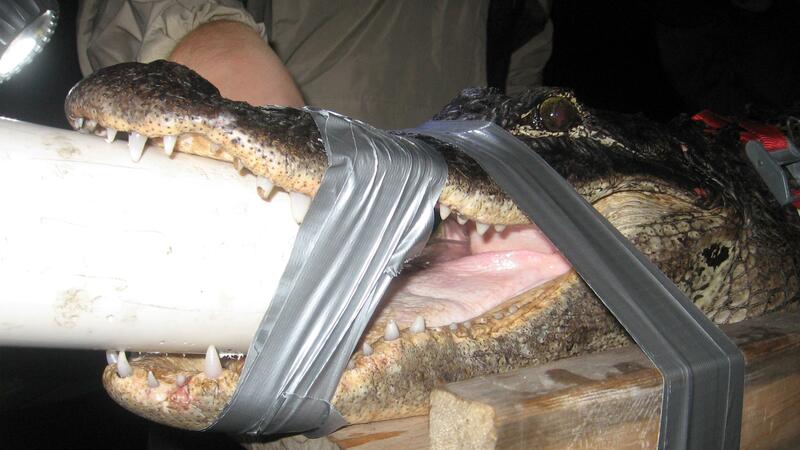 Adam Rosenblatt holding an alligator so that the mouth can be taped shut. 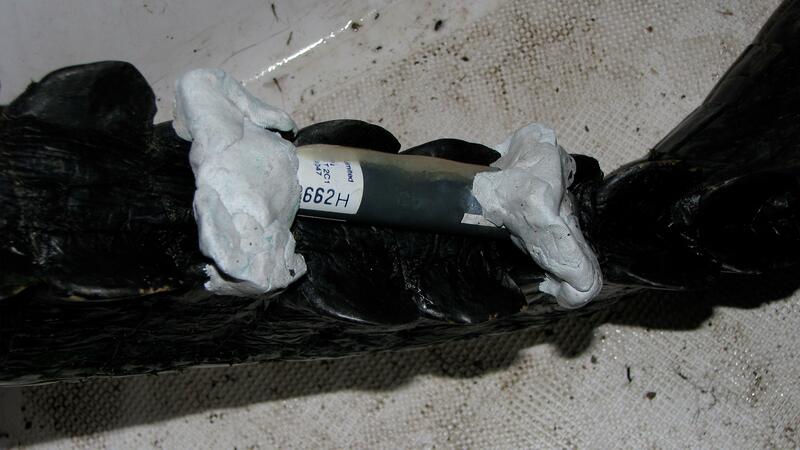 A tracking device attached to the tail of an alligator. 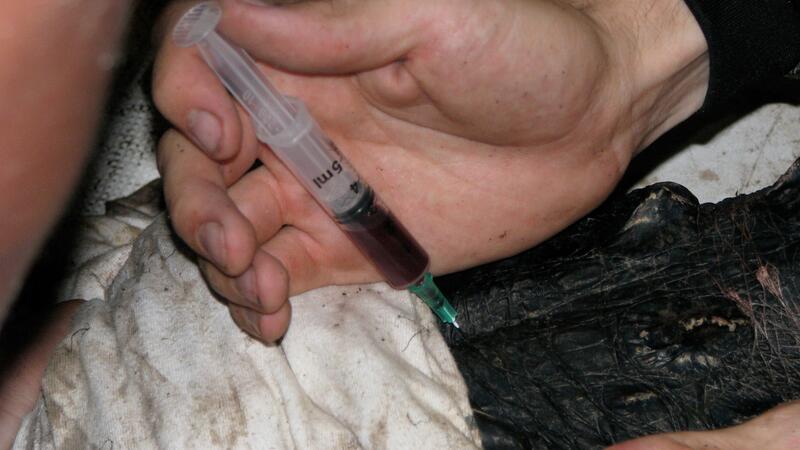 Taking blood from an alligator. 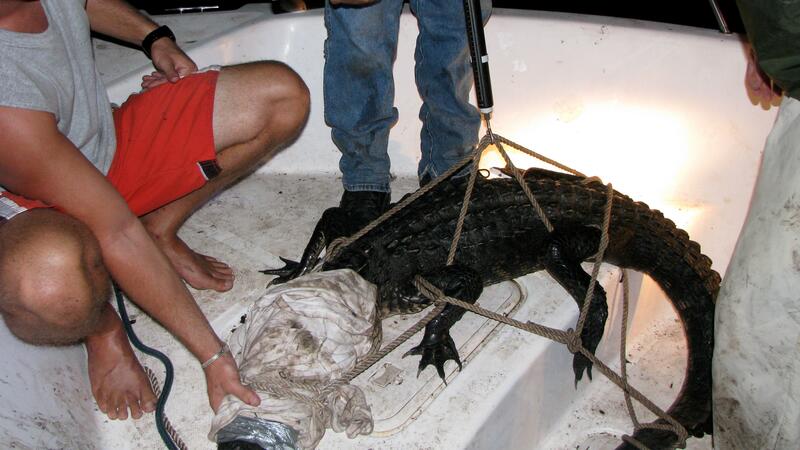 Heithaus lab weighing an alligator. 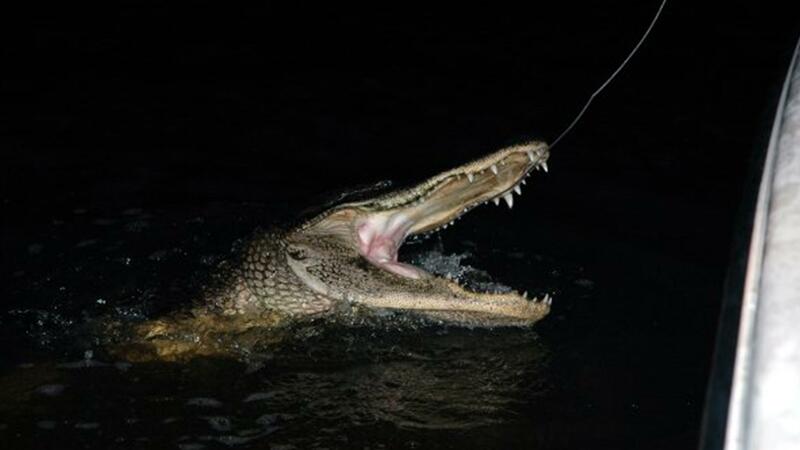 An alligator tries to escape after being snared. 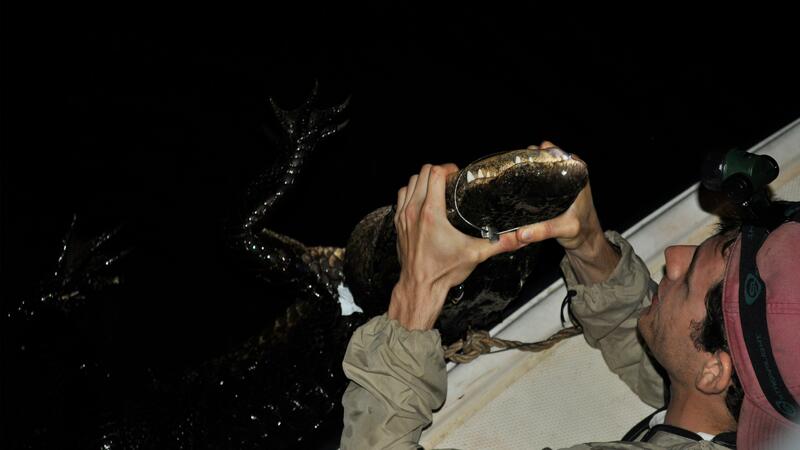 Adam Rosenblatt and Adriana Weil taping an alligator’s mouth shut after collecting its stomach contents. 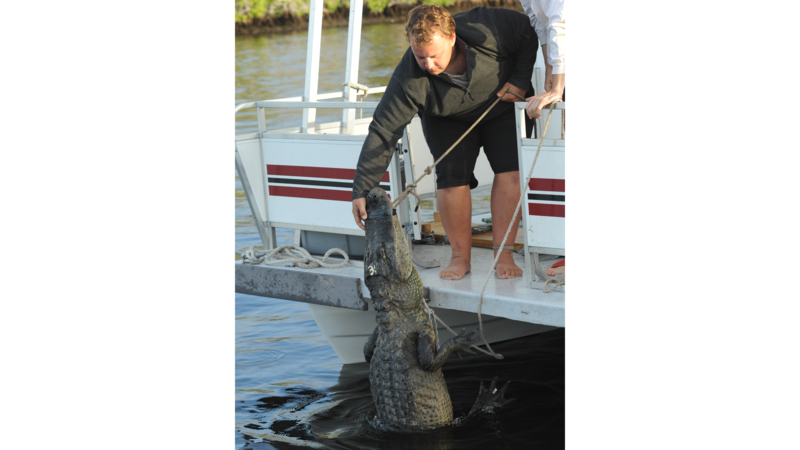 Adam Rosenblatt collecting the stomach contents from an alligator using the “hose-Heimlich” technique. 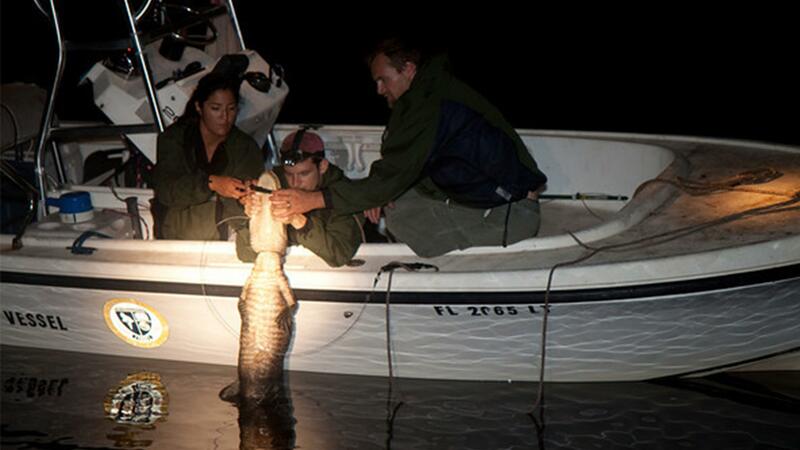 Mike Heithaus, Adam Rosenblatt, and Cynthia Aceves preparing to bring an alligator onboard the boat. 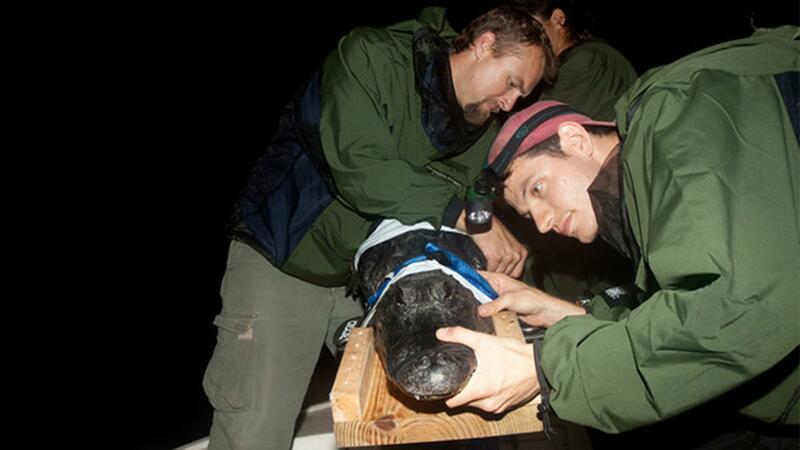 Mike Heithaus and Adam Rosenblatt preparing to collect the stomach contents from an alligator. 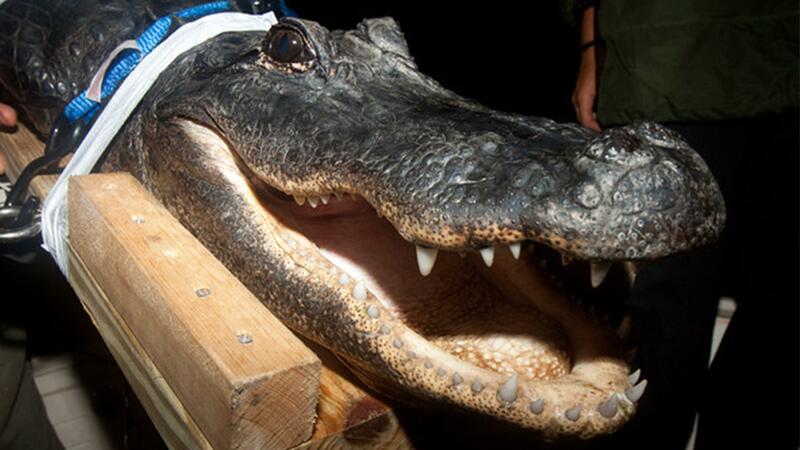 An alligator waiting to have its stomach pumped. 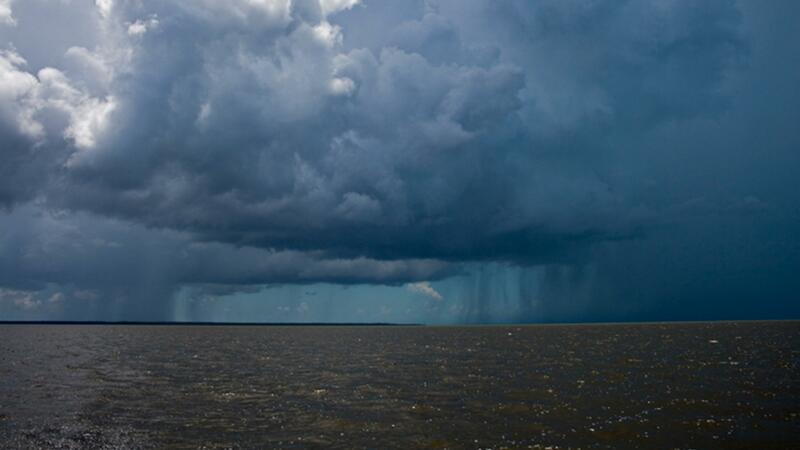 Rain storms can move fast and appear suddenly in the Shark River Estuary. 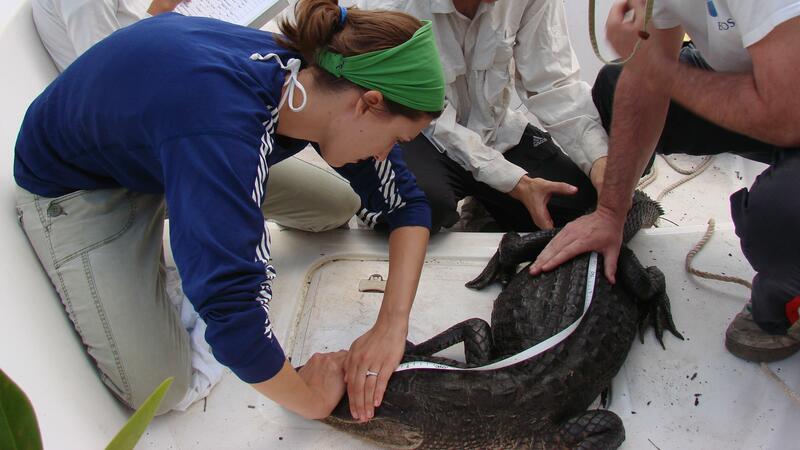 Adam Rosenblatt, Katy Cameron, Kristin Kuehl, and John Evered measuring an alligator. 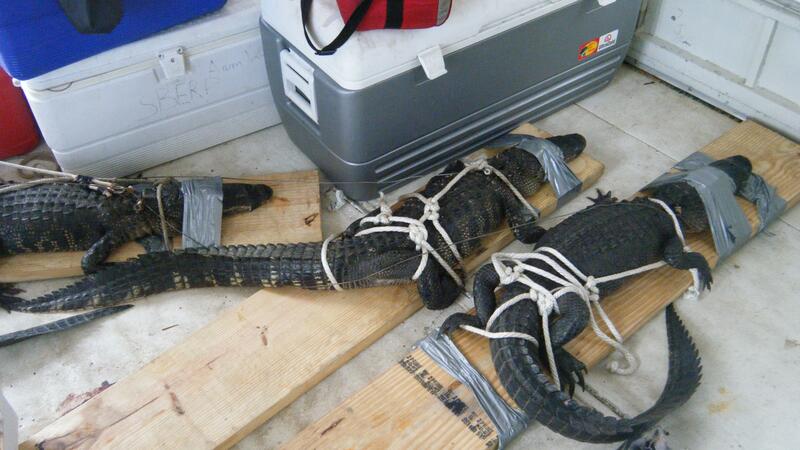 A trio of alligators waiting to have their stomachs pumped. 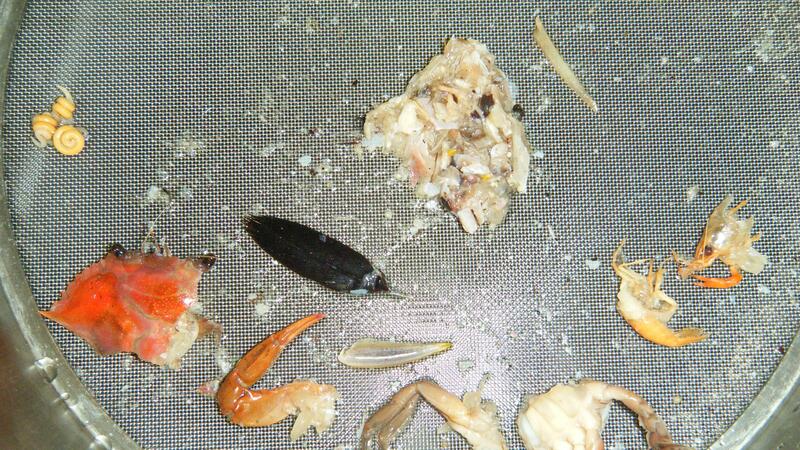 The partial stomach contents of an alligator, including blue crab pieces, an anhinga feather, a crayfish, and some parasites. 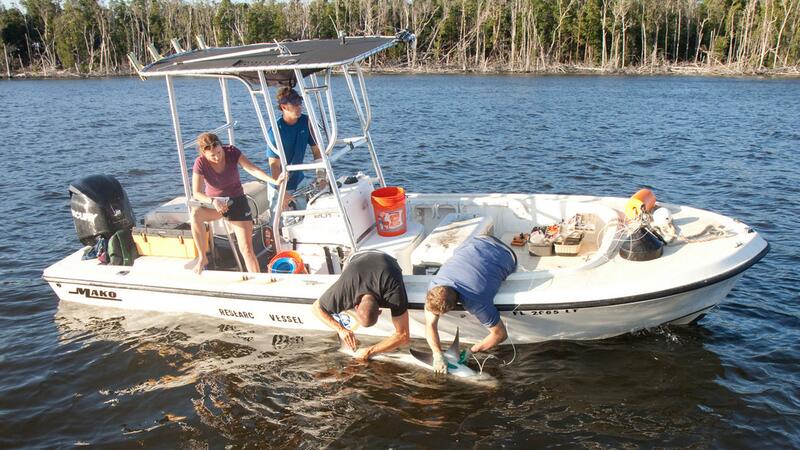 A monitor that tracks the positions of bull sharks and alligators in the Shark River Estuary. 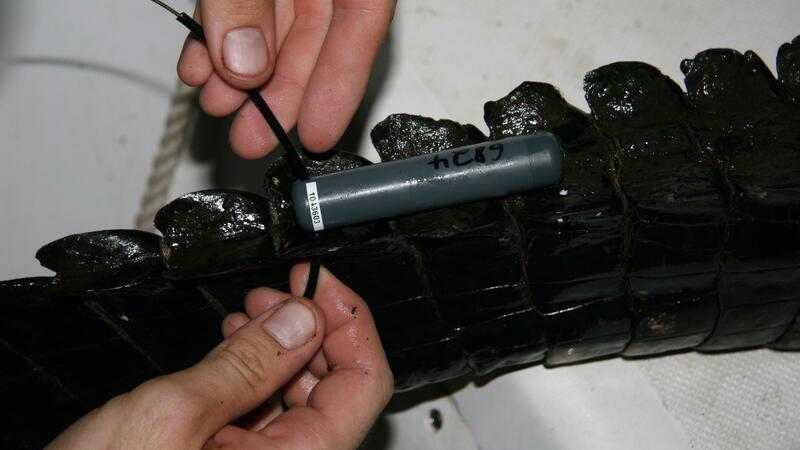 Attaching a tracking device to the tail of an alligator. 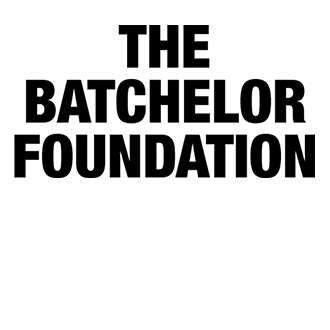 An alligator having his stomach pumped.